Fire away with this new Ultramax® .45 Long Colt Ammo for the kick you want and expect! Yeehaw! 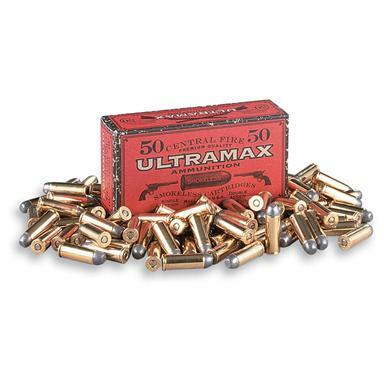 If Wyatt Earp or Wild Bill Hickok were still alive today, they'd think nothing of choosing this Cowboy-Action ammo! Hypothetically speaking.